We can produce all types of markings with the dyes ensuring freedom from toxic products. 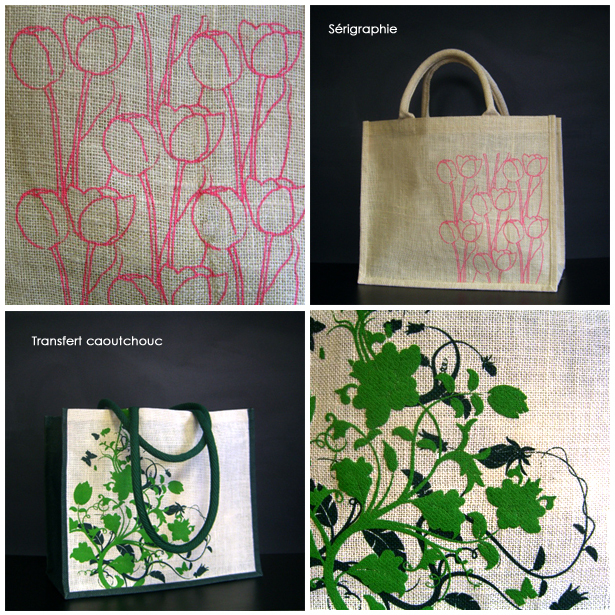 Your jute or cotton bag will circulate, convey your image, promote your brand, your products or event. This is the mobile object of communication by excellence which will represent you "naturally" from the city to the beach. We define together the marking(s) of your logo and a tagline with special attention to respect for your graphics, your pantones with a goal of quality and relevance.